When communities have safe water, families are strong, people can work, and there’s social, economic, and national stability. If we want to have a peaceful world, clean water is the basis of that – it’s fundamental. We’ve seen with own eyes what it means to be “without”. As combat soldiers fighting in wars over the past decade, VWO volunteers have had the opportunity to interact, help, and develop friendships with people all over the world. We’ve also seen first hand the devastating consequences that result when communities are forced to consume untreated water. The images of sick children and dire sanitary conditions have forever been burned into our minds. 1.8 Billion people lack access to clean water. The causes of the world water crisis are complex. When we are talking about regions suffering from water stress or water crisis, no one community is affected the same way as another. In some places water is plentiful, but due to poor infrastructure or institutions, it goes untreated and flows back into the community water source. In other places, the scarcity of water requires people – almost always women and children – to walk incredibly far distances to carry water back home. Compounding the issue is the effect of climate change, which causes extremes in weather that affects water supply. And an increasing global population puts increasing demand on our finite fresh water resources. 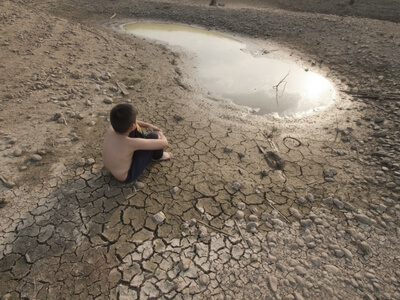 The World Economic Forum considers the world water crisis one of the top 5 global risks. 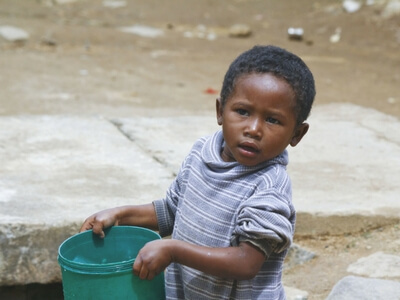 Without clean water, societies cannot thrive and people cannot realize their potential. The current Syrian Civil War provides an important case study of what can happen to a society under severe water stress. 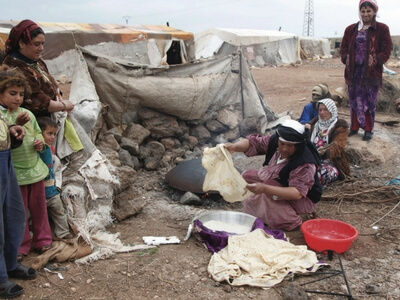 Between 2007 and 2010, Syria experienced one of the worst droughts on record, which decimated rural communities and drove hundreds of thousands of people off their land and into Syria’s cities. The demand and competition for resources like water began to create tensions between groups that had otherwise lived harmoniously together. When social uprising began in 2011, Syria was therefore an especially vulnerable society. The effects of the drought combined with geopolitical instability created the conditions for violence. Once conflict began, warring factions who were able to pay their soldiers found willing recruits from those regions most affected by drought. Since the onset of the civil war, some factions have even “weaponized” water, turning it into an instrument of war and alternatively flooding areas or deliberately withholding water in order to punish civilians. Veterans Without Orders provides solutions that empowers families who need safe drinking water. Instead of being dependent on outside sources – like government or industry – we put clean water directly in the hands of those who need it the most.